They say that a yawn is a silent scream for coffee. 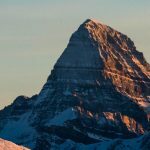 Luckily you won’t find yourself yawning in Banff National Park, with so much to see and do and a variety of options to get your caffeine fix. 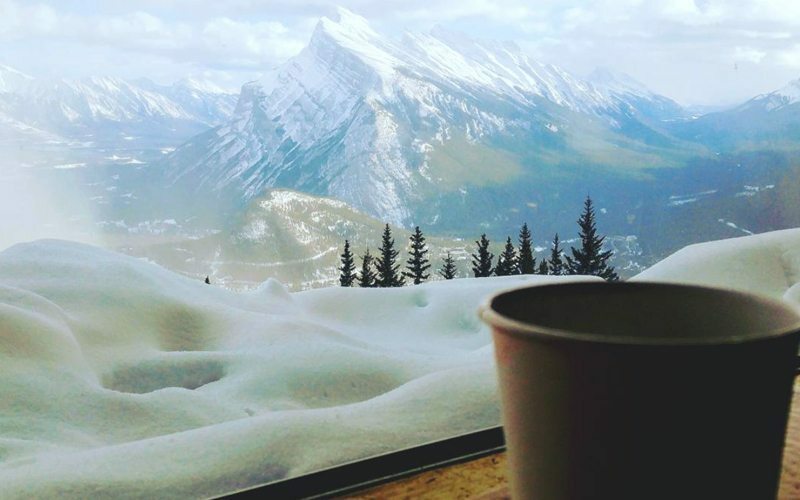 Check out these cafés for some of the best coffees in Banff in Lake Louise. 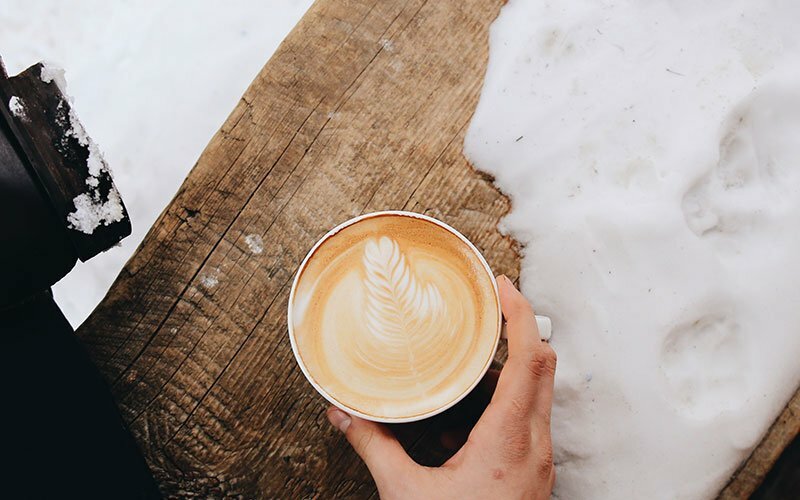 Ask a local where to find the best coffee or hot chocolate in Banff, and Whitebark is usually the answer! 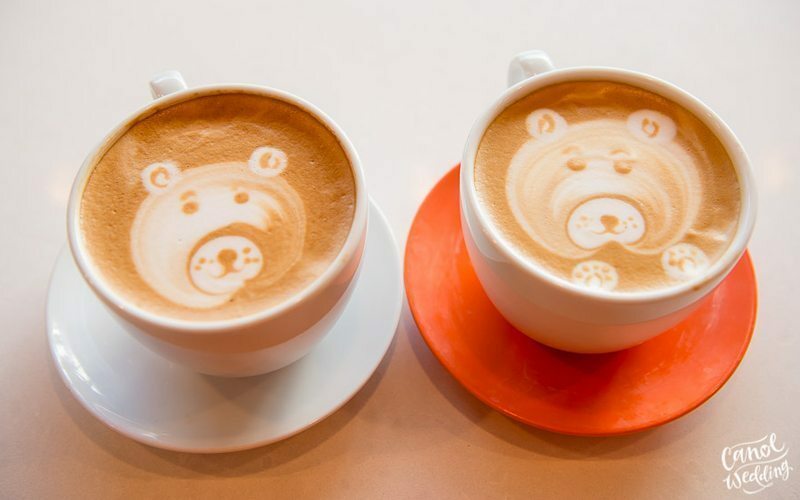 For a great coffee with a twist, try the Try the Americano Misto (normal Americano but with half steamed milk and half water) with a pump of hazelnut. Travellers from the Land Down Under will be glad to know that Flat Whites (an Australian favourite) are available here. Insider tip: want to know the secret to Whitebark’s famous hot chocolate? Solid dark chocolate, grated – specially-sourced from Vancouver-based confectioner Thomas Haas. No cocoa powder here! Celebrating 10 years in 2017, this local, specialist retail store is a tea lover’s paradise. Banff Tea Co mixes more than 40 exclusive Banff Tea blends and carries over 180 varieties of loose tea and herbals. 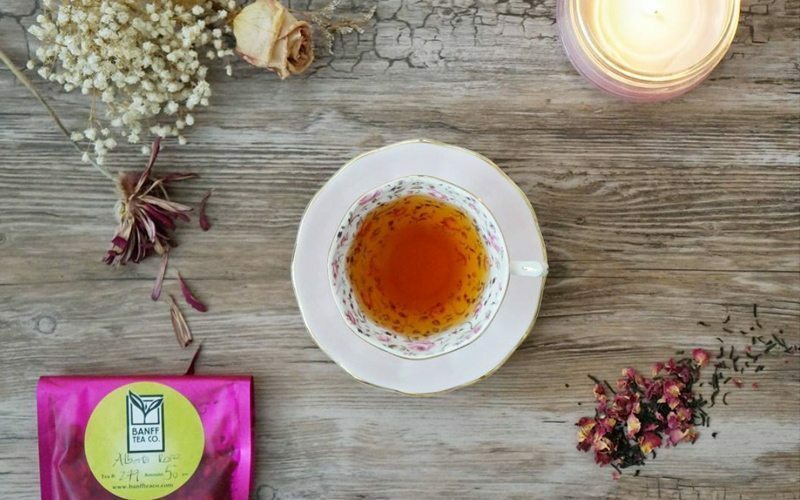 Best-selling blends include Knock Yourself Out and Sweet Dreams of Banff (sleep teas), Milky Coconut Oolong, Cream of Earl Grey, White Vanilla Coconut, Woman-Uma, Black Bear and Banff Rocky Mountain Blend. A number of unique decaf options and one-off seasonal flavours are available, as well as tea flowers which come to life in your mug when covered by hot water. Insider tip: tea packs light, so it’s also a great souvenir or gift option. You’ll also find a variety of tea-related merchandise including tea candy, tea towels, travel flasks, honey and Canadian-crafted mugs and teapots. 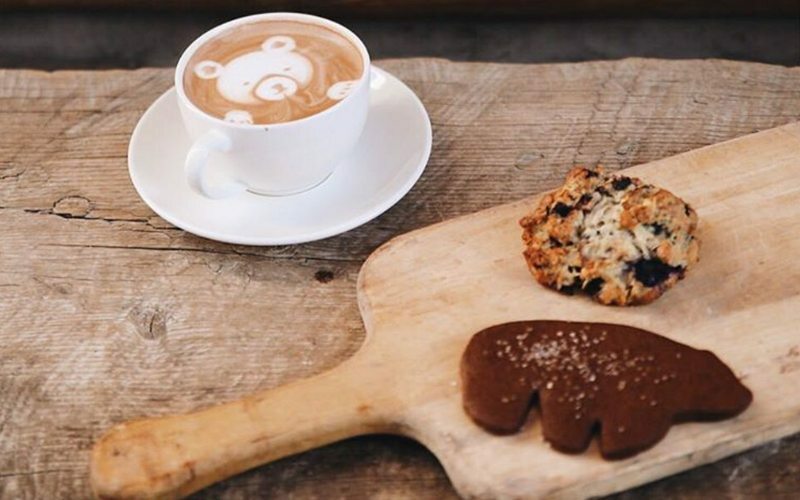 Wild Flour serves up great coffees, teas and refreshing drinks paired with freshly baked traditional artisan breads, sandwiches, pastries, baked treats and more. 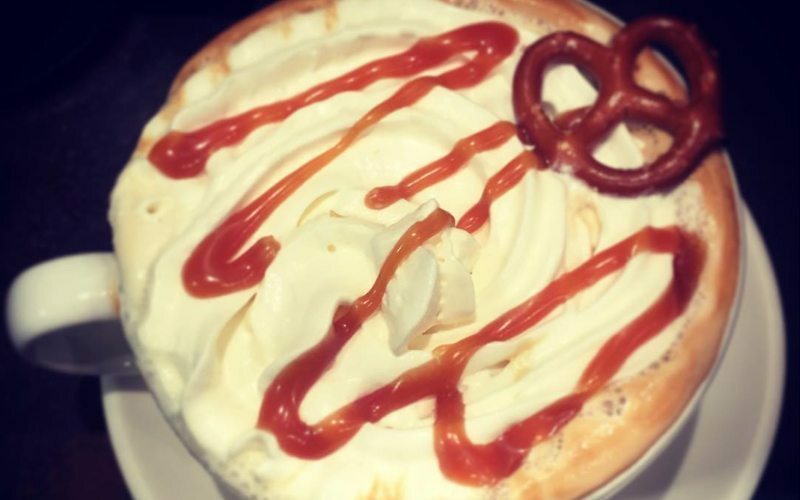 This popular café specialises in variety, with a number of gluten-free, dairy-free/vegan food and drink options also available. Insider tip: Wild Flour also operates a second, smaller store named Little Wild. 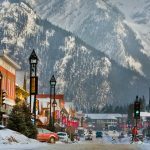 It’s located on Banff’s main street, Banff Avenue, just footsteps away from the Banff Ski Hub. This cozy spot is a great place to grab a coffee to-go before picking up rental gear for your ski day. 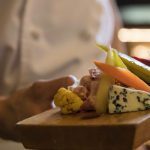 For something special, head to STOCK [Food & Drink] at the iconic Fairmont Banff Springs, Canada’s “Castle in the Rockies”. Here you’ll discover a fresh take on ‘local’, with premium quality seasonal ingredients, a scratch bakery with fresh made sandwiches, and an assortment of pastries and twilight treats. Celebrating 25 years in 2017, this buzzing local hot-spot on Banff Ave (main street in town) serves up great coffee and more. Choose from a variety of indulgent snack options, including sandwiches, wraps, cakes, cookies and pies. Pull up a chair at one of the coveted window tables and watch the world spin by while people-watching and spinning the decorative table globes. 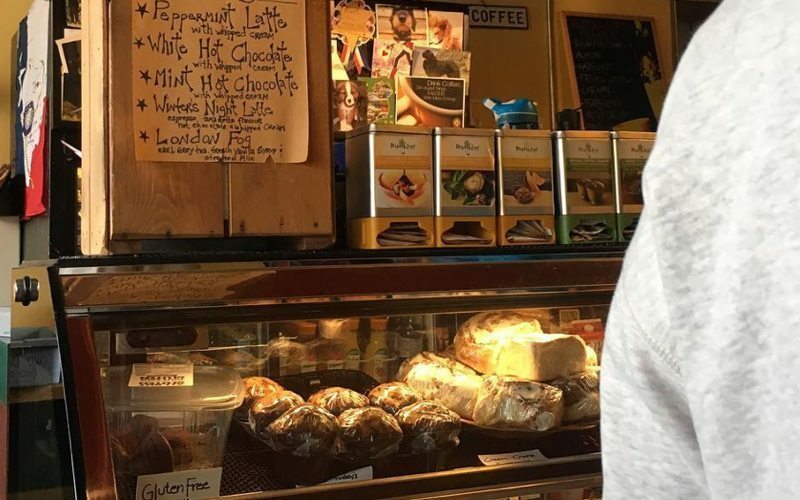 For great coffee, a quick snack or lunch and great prices to match, enjoy the cozy atmosphere at this hidden gem tucked next to Banff’s Lux Cinema. Grab a sweet treat, fresh bread loaf or hearty soup, or made-to-order sandwich with variety of fresh fillings to choose from. For a quality morning brew, look no further than this bustling local-magnet. If you’d like more than just coffee, choose from a selection of tasty wraps, bagels, sandwiches, soups, stews, pancakes, baked treats, desserts and more. 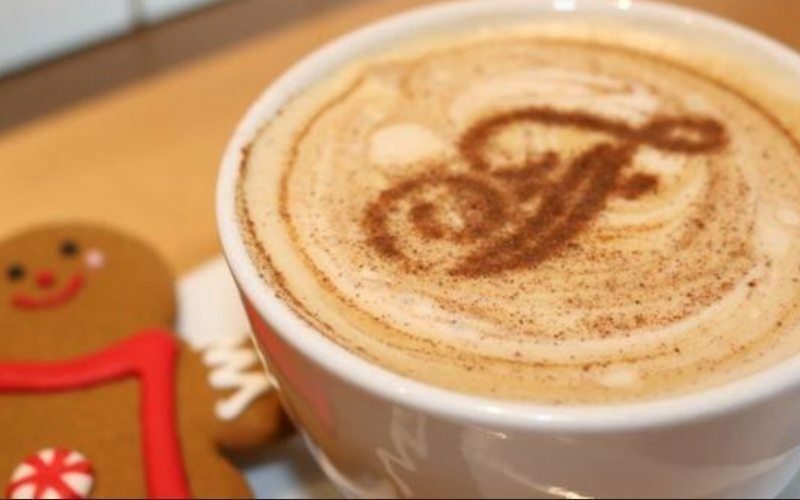 Hot specialty beverages include peppermint latte, white hot chocolate, mint hot chocolate and winter’s night latte (espresso, amaretto flavour hot chocolate and whipped cream). Get your morning go-juice with a side of decadent baked goods at this well-established local favourite. This is a great choice for the tastebuds and for the wallet, with a variety of hot and cold options for a tasty breakfast or lunch on the go. Try Laggan’s famous health cookies, chocolate-dipped hazelnut bars, vegan energy bars, and veggie or beef chilis. 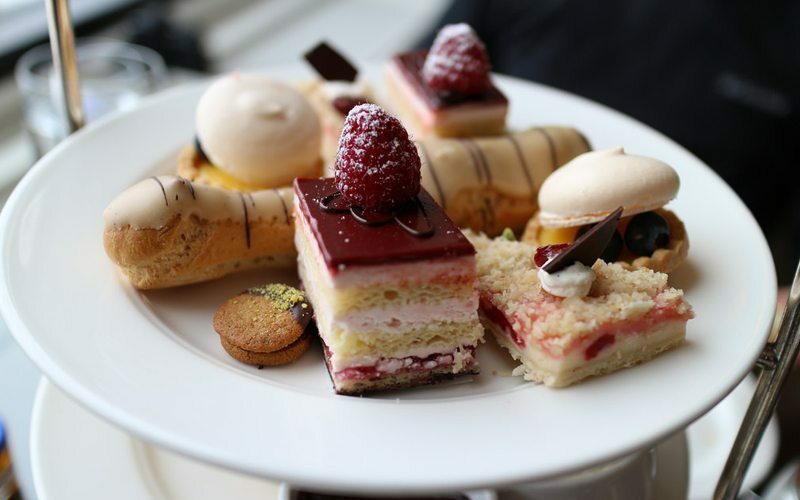 For a classic British high tea with million dollar views, reserve an afternoon to remember at the Fairview Dining Room at the Fairmont Chateau Lake Louise. The dress code is formal and the food and drink is exquisite in both taste and presentation. Insider tip: reserving a lunchtime visit is a great idea, as the generous portions sizes are generous enough for a satisfying lunch. 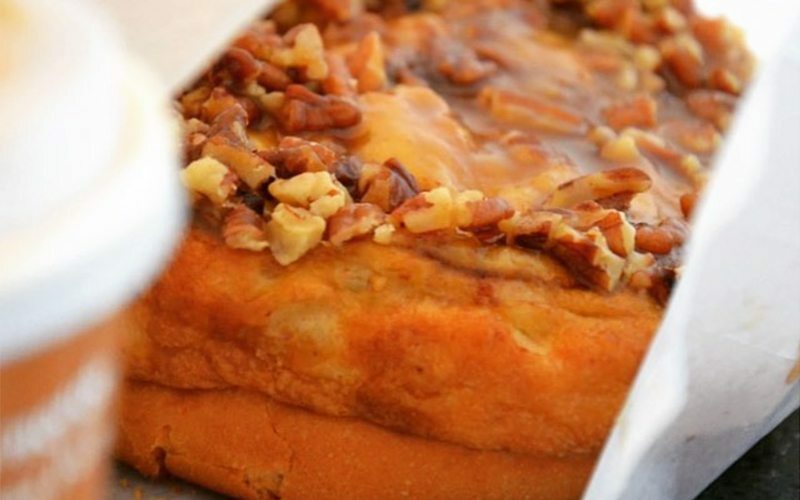 Stand-out sweet options include the gingerbread and scones. We’re 99% sure coffee tastes better in the mountains. 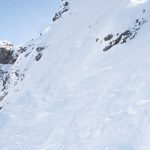 At Mt Norquay ski resort, the iconic Cliffhouse Bistro is accessible via the North American Chair, the first chairlift constructed in Banff National Park. 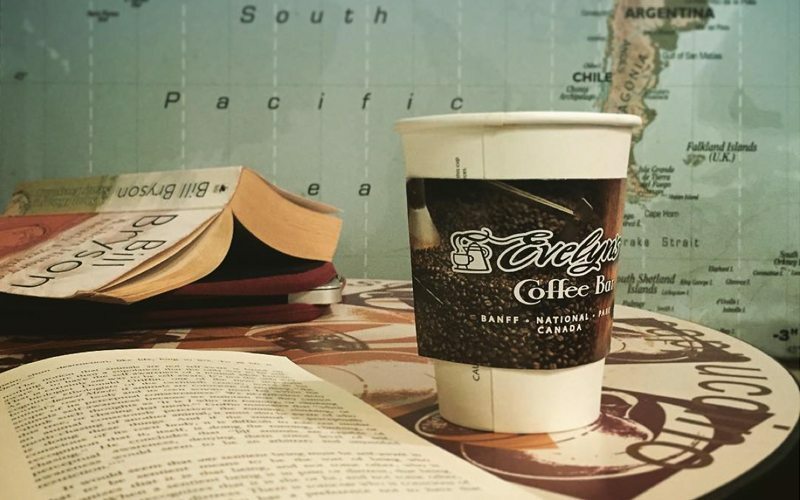 Here you’ll find great coffee and breathtaking mountain views at 7,000ft elevation. In 2017, Cliffhouse Bistro will open for the summer from June 10, when Mt Norquay’s Via Ferrata outdoor rock climbing and summer sightseeing operations kick off for the warmer months. 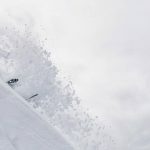 For great coffee, mountain atmosphere and slope-side convenience like no other, head to Sunshine Mountain Lodge in the heart of Banff Sunshine Village. 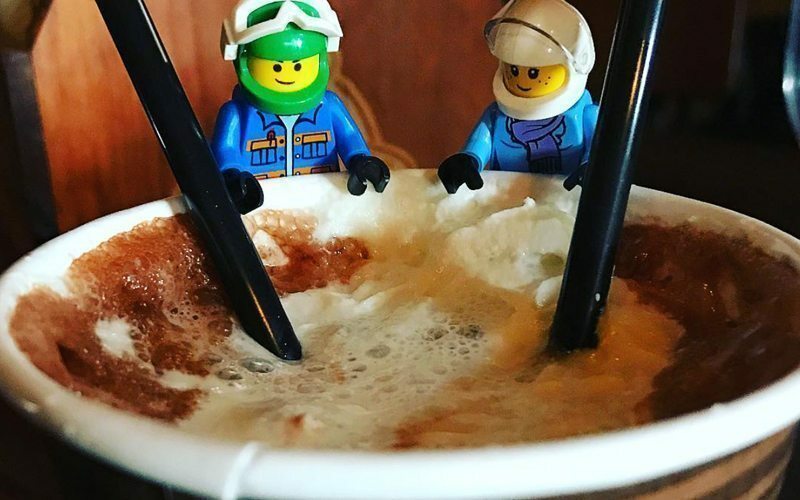 This cozy spot has you sorted for tasty snacks and a satisfying hot beverage, and it’s so easily accessible that you’ll be back on the slopes again in no time. For the best coffee on the mountain, head to Temple Lodge at the back side of Lake Louise Ski Resort. Upstairs you’ll find Temple Lodge Café, a hidden gem, where you can warm up with a specialty coffee or hot chocolate. Insider tip: you can even get a shot of Bailey’s in your coffee here. 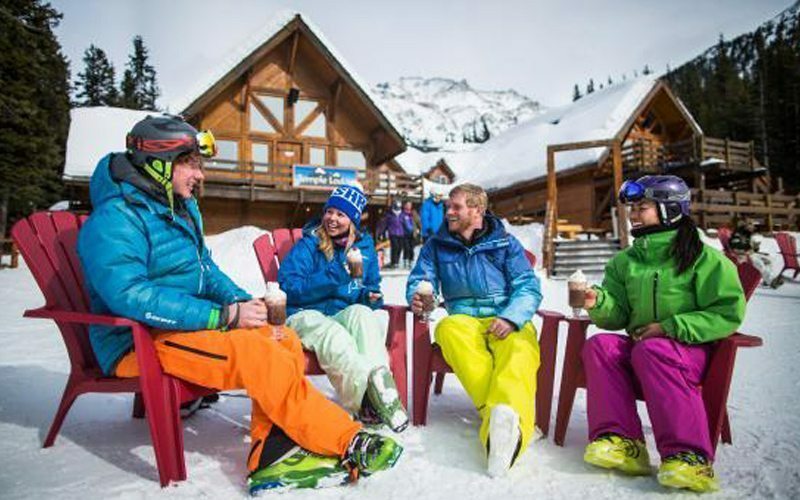 Temple Lodge is home to the best on-mountain coffee at Lake Louise. Photo via Banff & Lake Louise Tourism. Ready for great coffee and an unforgettable ski adventure? Our friendly Reservations Team is always happy to share their local knowledge and experience to help you find the best coffee shop and the best ski vacation packages for your taste, style and budget. 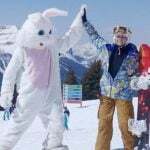 Check out our featured vacation packages or call us on 1-844-754-2443: our based-in-Banff Reservations Team are here to help!